The school is having an average recourse on all learning and infrastructure. The school stated functioning since 2004. Spacious class rooms well equipped with LCD projector, computer and audio systems. Well equipped laboratories. Examination control division to conduct smooth running of the examinations. Well equipped hospital with facilities for outpatient and inpatient facilities. It has the central and department library with much collection of books of different specialties. A spacious auditorium with a big stage that can house around 1000 persons at a time to carry out all types of cultural and scientific events is present inside the college building. The school started functioning since 4 years. It has achieved fast development in infrastructure. A well equipped Anatomy department with laboratory facilities in Physiology, Pathology and Standardization of drugs are examples of augmentation of the infrastructure in the institution. Operation Theater with facilities for doing surgeries in piles and Fistula also are other examples of the developments of the institution. Hospital with a capacity of 360 beds shows the augmentation in the academic activities coming in pace with service of mankind. The course offered by this college are; Bachelor in Ayurvedic Medicine and Surgery, Diploma in Pharmacy and Diploma in Panchakarma. Duration: 4.5 Years + 1 Year Compulsory Internship for BAMS, 1 year for Diploma in Panchakarma & Pharmacy. The candidates must have passed the higher secondary examination preferably with science subjects and English for the diploma in Panchakarma & Pharmacy. Course Tuition fee & Hostel Fee Food Fee per annum: Rs.14,000/- Not Applicable Rs.6000/- Food fee is only for Lunch. In addition, Cost of Uniforms and refundable caution deposits are also payable. A central library is working attached the college with 2873 sq.mts of carpet area. There are collections of various books on various subjects. Computer facility is there in the library so that the students faculties can have access to amble number of websites. There are department libraries functioning in all the departments that have at least 30-70 books for ready reference. It has a conference hall, Yoga hall and well equipped dissection hall with enough number of models and charts for teaching along with cadavers are present in the college building. Well equipped Physiology and Pathology labs are the best assets of our institution. Department of radiology is provided with X- ray machines and Ultrasound scanning machines. The school is having uninterrupted electricity supply with 2 Diesel generator capacity of 60 KVA. 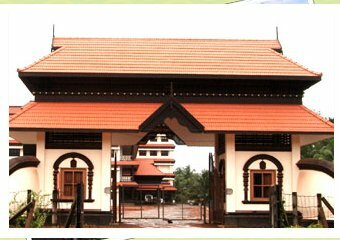 Address: Amrita Vishwa Vidyapeetham, Amritapuri, Clappana P.O., Kollam - 690 525, Kerala.